Indonesia welcomes foreign investors to invest in the country, and most industries can set up companies in various regions of the cooperation area. 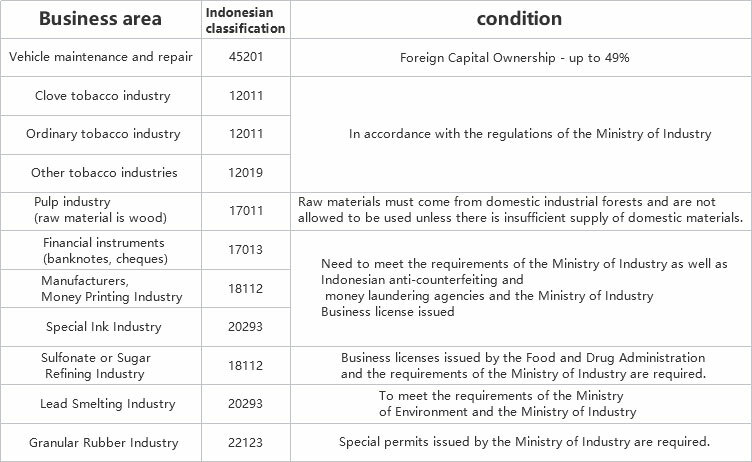 The Indonesian government allows foreign investors to invest in industries and to own related businesses. 100% of the company. For manufacturing, most foreign manufacturing companies can enter the Indonesian market as 100% shareholders. However, not all industries can enjoy 100% foreign capital ownership. The right table shows the industries that prohibit or restrict foreign investment participation as stipulated in Presidential Decree No. 44 of 2016.